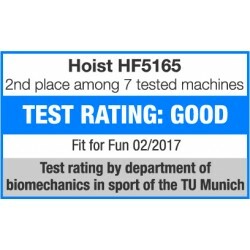 The Hoist weight bench HF5165 offers optimal training conditions like at gym due to the varied adjustability. 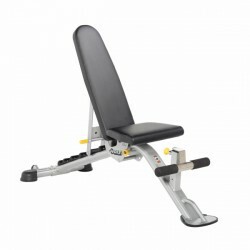 The backrest of the foldable Hoist weight bench HF5165 is, i.e., adjustable in 7 positions (-20° to 80°). The seat is adjustable in three different angles (0°, 10°, 20°). The foot rest is also adjustable in three different heights. Thus, a training full of variety and without compromise is possible. Besides the training possibilities, the Hoist weight bench HF5165 mainly features a high-quality finish. 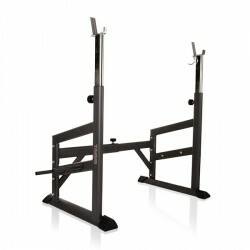 A steel frame as well as leather-covered seat and backrest provide perfect training conditions of commercial quality. 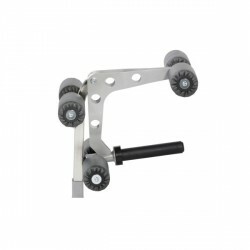 Excellent and flexible design, very high quality and solid construction. Definitely a good value for money.